All residential services are fully accredited under the Commonwealth Aged Care Residential Services Accreditation Program, as monitored by the Standards Agency. Making the decision to enter into residential care requires careful consideration by the individual and their family. It is not easy but we encourage you to focus on the positive aspects. Make an appointment to visit the facilities and talk with residents. You may be pleasantly surprised! Contact the Aged Care Administrative Office. Tel (03) 54711 468. Residents are encouraged to bring their own furnishings and personal mementos to promote a home like environment. Shared or single rooms are available along with access to communal sitting, dining and recreational areas. People living in residential accommodation at Castlemaine Health are encouraged to be active in recreation and lifestyle pursuits including their individual interests, social life and participation in the wider community. There is an individual recreation program for each residential unit that aims to meet the needs of individuals and groups. The program is responsive to resident input and encourages families, friends and community members to participate. Activities include outings, exercises, music and performance, games, celebrating special events, shopping, social activities, community activities, art and craft, lifestory and cooking/food events. The program also provides 1:1 support, particularly for new residents to assist settling in to the residential environment. There are up to 3 types of fees payable in relation to Residential Aged Care at Castlemaine Health. Your Centrelink Income and Asset Assessment will determine the final fees applicable to your residency. You will be charged the maximum fees as outlined below, until Castlemaine Health receives your Centrelink Income and Asset Assessment. Any applicable adjustments will then be made to your account, backdated to your admission date. This fee is payable by all residents, regardless of means. It is representative of 85% of the single aged care pension, and increases slightly each time pension rates increase. This fee is payable by some residents, depending on their assessment. This fee also depends on which room you are in. You can opt to pay a Residential Accommodation Deposit (RAD), or a Daily Accommodation Payment (DAP), or a combination of the two. Further details are outlined below. 3. Means Tested Care Fee – up to $74.61/day (average over 12 months). Annual and Lifetime caps apply. Castlemaine Health has four residential facilities: Ellery House, Thompson House, Penhall Hostel and Spencely Hostel. Maximum room rates for these facilities are detailed below. Please note that the complexity of your care requirements will determine which facilities can best accommodate you. This may mean that not all facilities will be offered to you. Your Centrelink or DVA income and asset assessment will determine if you can be asked to pay accommodation costs, this is called an ‘accommodation payment’. The maximum room price is the maximum accommodation payment that you can be charged for the room. A refundable accommodation deposit (RAD) which is a lump sum payment, the balance of which is refunded when you leave. A daily accommodation payment (DAP) which is a rental style payment that is paid on a regular basis, payable up to a month in advance, and is not refundable. To calculate the equivalent daily payment of a refundable accommodation deposit, the refundable deposit is multiplied by the maximum permissible interest rate (MPIR), currently 5.94% as at 1 January 2019. A combination of the two. Options to draw-down the DAP from a part-payment of the RAD are also available. Ellery House Shared Room: maximum refundable deposit $420,000.00 or maximum daily payments of $68.35, or a combination of these. Ellery House Single Room with Ensuite: maximum refundable deposit $450,000.00 or maximum daily payments of $73.23, or a combination of these. Ellery House Single Room with Shared Ensuite: maximum refundable deposit $450,000.00 or maximum daily payments of $73.23, or a combination of these. Thompson House Single Room with Shared Ensuite: maximum refundable deposit $380,000.00 or maximum daily payments of $61.84, or a combination of these. Thompson House Shared Room: maximum refundable deposit $350,000.00 or maximum daily payments of $56.96, or a combination of these. Thompson House Single Room with ensuite: maximum refundable deposit $380,000.00 or maximum daily payments of $61.84, or a combination of these. Penhall Hostel Single Room with Ensuite: maximum refundable deposit $450,000.00 or maximum daily payments of $73.23, or a combination of these. Spencely Hostel Single room with private ensuite: maximum refundable deposit $380,000.00 or maximum daily payments of $61.84, or a combination of these. It is the policy of Castlemaine Health to invoice the maximum charges for permanent Residential Aged Care until the income and asset assessment has been provided. Once this is provided any adjustments as applicable will be made to the account. Admission to residential accommodation is recommended on a priority basis based on the medical/social needs identified by an aged care assessment. There is a waiting list for residential accommodation, however, home support services and respite care can be organised by ACAS Staff to assist during this period of time. To contact ACAS Staff, please call Bendigo Intake on (03) 5454 7589. Individuals can be referred for assessment by their general practitioner or, alternatively, can self refer by contacting the Aged Care Assessment Service at Bendigo Intake (see contact details below). Short term accommodation is available by prior arrangement when family members or carers need to take a break or have other commitments. This is also an excellent opportunity for individuals to trial residential accommodation prior to making a long term commitment. Contact Aged Care Administrative Office. Tel (03) 5471 1468. Pastoral Care Services are provided by our Pastoral Care Coordinator. The service provides important assistance to our residents and clients who face unexpected life changes, such as admission to hospital during their times of need or the transition to residential care. The model of support is conducted in a confidential and non-religious manner. It is person-centered and non-directive and is available to all patients, residents and their families. The service also provides invaluable education and support to our staff particularly the process of dealing with loss and grief. Pastoral Care services are complemented by Visiting Ministers from various denominations who conduct weekly prayer services in the hospital chapel and at various residential care units for patients and residents. The Hospital appreciates the importance of spirituality in people’s lives and every effort is made to attend to the specific spiritual requirements of all our patients and residents. More information required – Our staff will be pleased to answer questions and provide further information, contact Aged Care Administrative Office. Tel (03) 5471 1468. 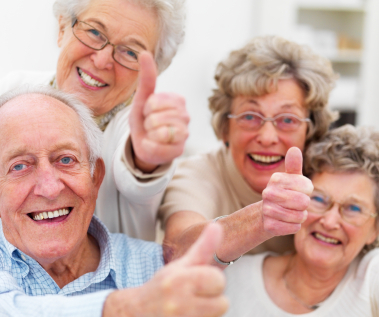 Specific Aged Care Assessment queries can be directed to Bendigo Intake – (03) 5454 7589.